Stoke-on-Trent, United Kingdom –A new 750 mm diameter cone mill, Kason model CGM 750, gently grinds fatty, heat sensitive, sticky, moist or fragile materials into uniform particle sizes with minimal fines at rates to 32 t/h. 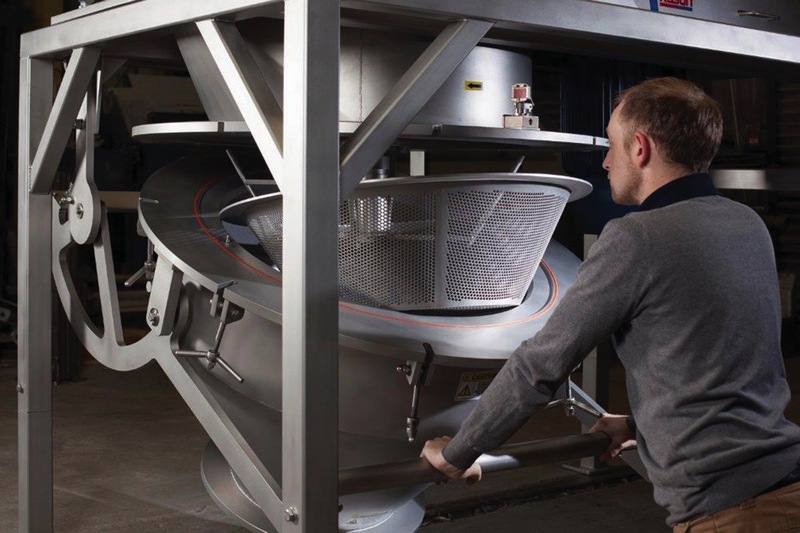 Kason’s new 750 mm diameter cone mill gently reduces up to 32 t/h of fatty, heat sensitive, sticky, moist or fragile materials into uniform particles from 125 to 250 microns with minimal fines. 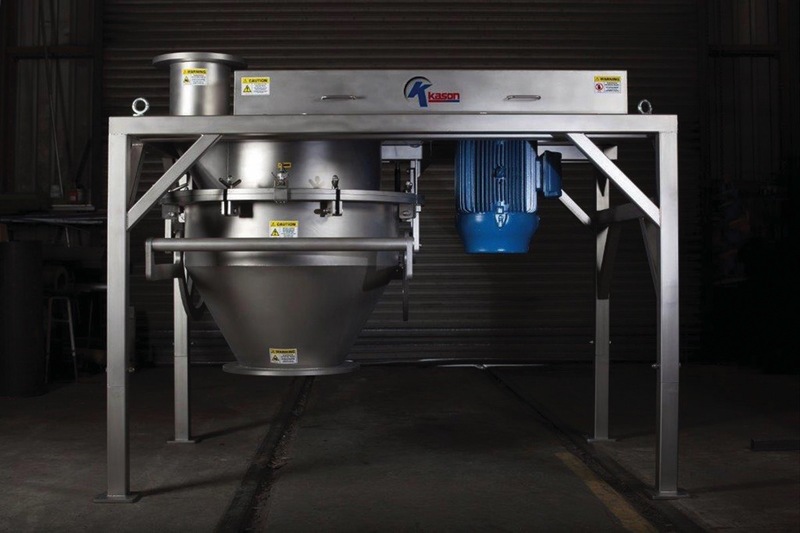 Ideal for bulk pharmaceuticals, foods and contamination-sensitive chemicals, the sanitary unit is suitable for wet and dry milling, pre-conditioning and de-agglomerating of a wide range of bulk products. Material is fed by gravity or vacuum conveying system into a central milling chamber in which a rotating impeller accelerates it centrifugally against and through apertures in a conical screen, and then into a receptacle below the milling chamber. Twin pneumatic cartridges allow easy access and swing-down of the conical discharge chute with quick-release clamps and safety switch. A single operator can lower the discharge cone housing and access the internal surfaces plus beater and perforated conical screen for routine cleaning and sanitising. A pneumatic, swing-down conical discharge chute with quick-release clamps allows easy lowering of the 114 kg cone housing and full access to the housing interior, beater and perforated conical screen for cleaning and sanitising. The unit can be cleaned wet or dry, and is available configured for CIP, SIP or filling with liquid during cleaning. Provision is included for optional air purging of bearings and seals. Conical screens with round, square or raised lip (cheese grater) perforations can be changed rapidly and are offered with apertures from 150 micron for fine/dry de-agglomeration, up to 25 mm for wet granulation. Constructed of 304 or 316 stainless steel to sanitary or industrial standards, the mill is top-driven by a belt drive and equipped with fully interlocked moving components with time-delay function for operator safety. Explosion-containment versions are also available. Smaller models range in diameter from 75 mm for laboratory applications to 680 mm for production capacities.